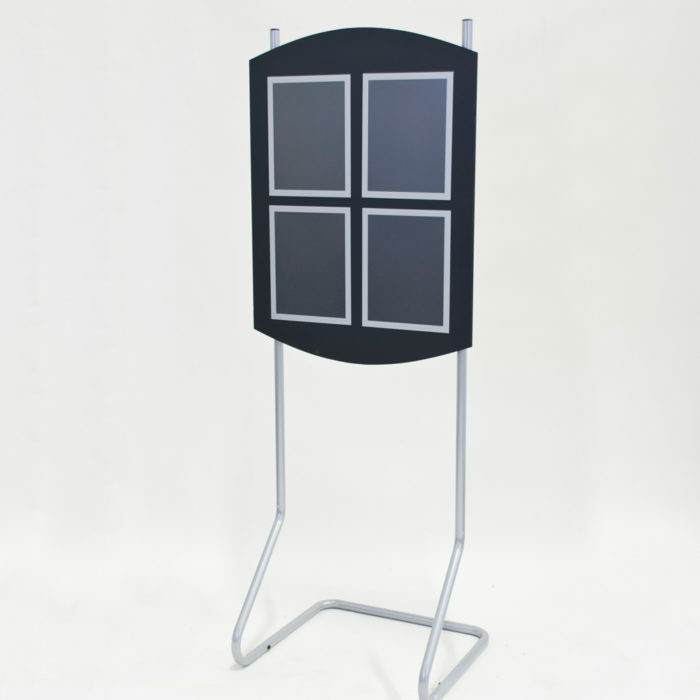 Freestanding display fixture with (4) magnetic lift-up MagaLens® insert holders. Insert size: 11"h x 8.5"w (letter size). Overall size: 64"h x 26"w x 22"d. Multiple options for customization below.